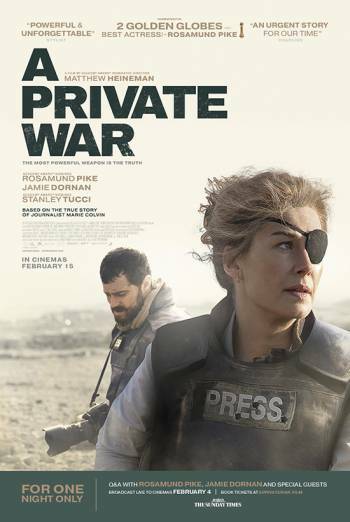 Summary A PRIVATE WAR is a biographical war drama based on the life of the war correspondent Marie Colvin. There are scenes of violence which include airstrikes, bombings and shootings, resulting in bloody injury detail. A disturbing scene shows a mass grave being dug up in Iraq. There is sight of skeletons being lifted out of the grave. There are also gory and bloody images in the aftermath of war attacks, including sight of dead children.